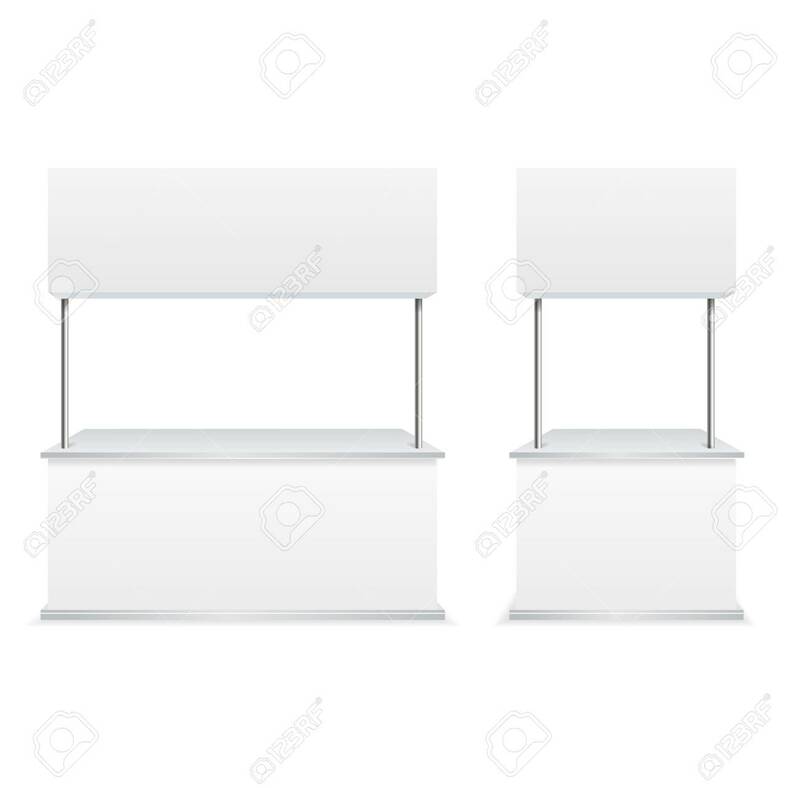 Realistic Detailed 3d Blank Empty Template Promotion Stands Set For Marketing And Advertising. Vector Illustration Of White Stand Lizenzfrei Nutzbare Vektorgrafiken, Clip Arts, Illustrationen. Image 114725933.